Get the key facts about Valpolicella wine region. Discover wine prices and other insights about Valpolicella DOC, Valpolicella Ripasso DOCG, Amarone della Valpolicella DOCG, Recioto della Valpolicella DOCG. 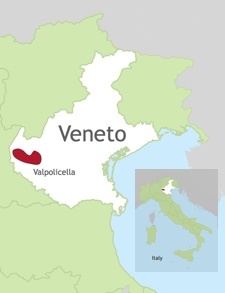 Valpolicella has an extension of 25 km. from West to East and 12 km. from North to South. The city of Verona stays in the Southern middle of a complex system of valleys that flow from North (Monti Lessini) to South. The Adige river limits Valpolicella in its western and southern sides. Wines are generally distinguished by a greater warmth and austerity of character. Wines are generally distinguished by a greater freshness and elegance, but also great longevity. Wines are generally distinguished by a dynamic and fruity style, with some herbaceous hints. from selected grapes, a wine aged minimum 1 year (considered from Jan. 1st after the harvest). It also can specify on the label the Cru of origin, usually with the "Vigna" word followed by the name of the place. Grapes production (1972-2018) compared to grapes for Amarone and Recioto della Valpolicella. Grapes production (1972-2018) for Amarone and Recioto della Valpolicella as percent of total production. 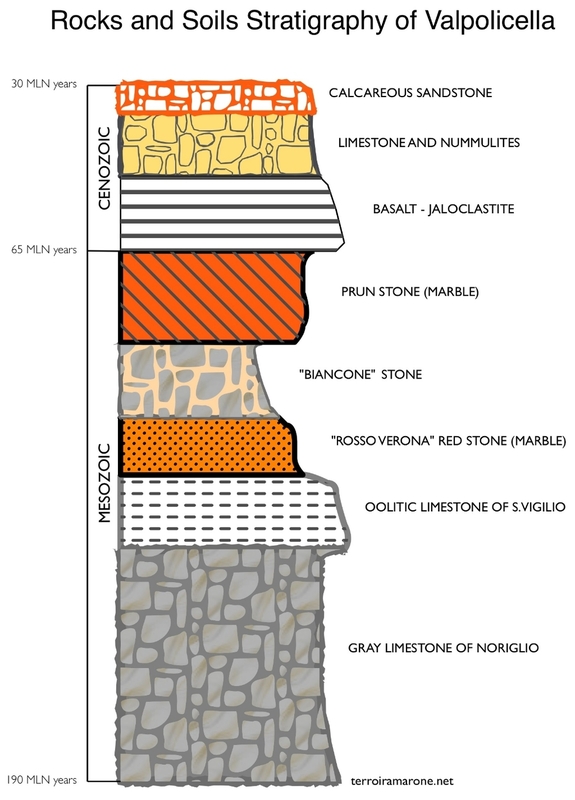 Valpolicella, Total surface in PRODUCTION (1974-2018). it was compulsory to use it till modifications to the rules adopted in 2003. Now it's an optional grape (see below). it could substitute Corvina in a vineyard till the amount of 50%. Sangiovese, Cabernet Franc, Cabernet Sauvignon, Merlot, Teroldego. Here you may see the "Grape Collection" in pictures, with 36 grapes actually grown in Valpolicella.